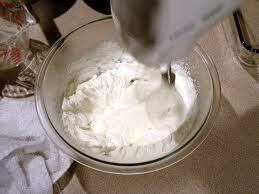 Looking for the fastest way to whip your cream? That's easy! The colder the cream, the faster it will whip so put your bowl and tools in the freezer 30 minutes before whipping cream. It will save you time!